Chinese Medical Herbalism is a safe and effective way of using plant medicine as a treatment for a range of illnesses and conditions. Chinese Herbs are available at the Bristol clinic, and follow-up appointments can be arranged in-person in Bristol Herbal Medicine clinic, or online. Classical Chinese Herbal Medicine is an ancient, holistic form of healing, using plants as medicines, which can be used for a very wide range of health problems. As with all branches of Chinese medicine, it is a person-centred treatment, and your herbs will be made up specifically for you, depending on your exact symptoms and overall state of health. What Kind Of Herbs Are Used? Chinese Herbalism uses a wide range of ‘herbs’, which can be pretty much any part of a plant. Leaves, seeds, fruits, bark and roots are all used. Some of these you would recognise, such as ginger, peppermint or cinnamon, but most would be unfamiliar to you unless you’ve spent time living in China. I source my herbs from an approved supplier, who has excellent quality control procedures, to ensure that I only get the highest quality herbs, free from contaminants. Absolutely no substances are used from endangered species of any kind. 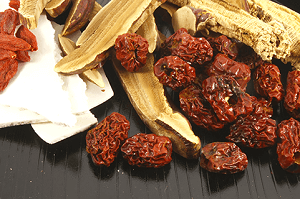 Chinese herbs are very rarely used singly, instead a formula is made up to your precise needs. In this way, the herbs in the formula have a synergistic effect, with each herb performing a different role. Your formula can be as few as 4 or 5 ingredients, but will more likely contain something like 10-15 different herbs. This way of working, called ‘Jing Fang’ emphasises strengthening the body at a deep level, so that it can regulate and heal itself. The herbs are chosen specifically for you on the basis of a detailed diagnosis, and the formula is continually changed as your symptoms improve. I have studied with the world’s leading expert on this style of Chinese Herbalism, the Beijing based doctor Feng Shilun, as well as completing a 2 year UK based apprenticeship. At your initial consultation at the Bristol Chinese Herbal Medicine Clinic, we will discuss the specific condition(s) you would like help with, as well as your general health. I will ask you a number of questions to build up ‘the big picture’ of your overall state of health, and use this information to diagnose the specific imbalances which need treating. I’ll explain this diagnosis to you, and you will always have ample opportunity to ask questions and feed back your thoughts. We will then schedule follow up appointments to see how you’re progressing, and adjust the formula if necessary. At first these should be roughly once per week, and then spacing out more with longer gaps between appointments as time goes on. Your herbs will be given to you in an easy to take powdered form. Your formula will be made up specifically for you out of concentrated herbs powders, pre-mixed, and then packaged into sachets. You will need to take 1 or 2 sachets per day. To take the herbs you simply tear open a sachet, pour the powder into a cup, add boiling water, and stir to dissolve. This is an extremely simple way of taking herbs that does away with the lengthy soaking and boiling process that used to be required with raw herbs. It also makes it easier to take your herbs if you’re away from home and don’t have easy access to a stove. 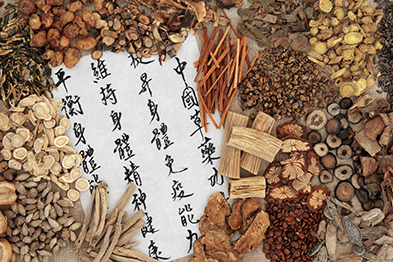 Who Can take Chinese Herbal Medicine? Chinese herbal medicine is suitable for any age (dosages are carefully adjusted for children). You can normally take Chinese Herbs if you are taking Western medication, but this will need to be discussed in person, as every case is different – I’m happy to arrange a free discovery consultation to talk this over with you. Chinese herbs are suitable for both acute (short term) and chronic (long term) conditions. Classical Chinese Herbalism shares a similar background theory and understanding of health and disease as other branches of Chinese medicine such as acupuncture and tui na massage. These therapies therefore combine extremely well in the treatment of certain conditions. If you are interested in Chinese Nutritional Therapy or Health Coaching, these can also be combined with Chinese herbs with good effect. If this is something you’d like to consider, please let me know, and we can discuss the options. As well as in Bristol, herbal medicine follow-up appointments are possible remotely (eg phone or skype) but the initial consultation must be in person. Neil is a firm advocate of the use of Chinese health practices in the pursuit of optimum health. He believes that holistic Chinese medicine techniques remain the best way to treat illness and improve health on all levels and is dedicated to spreading this message far and wide. He teaches that everyone can improve their physical, mental, emotional and spiritual well-being, in a constant and ongoing 'Radiant Health Evolution'. If you want to experience that evolution for yourself, you're in the right place.